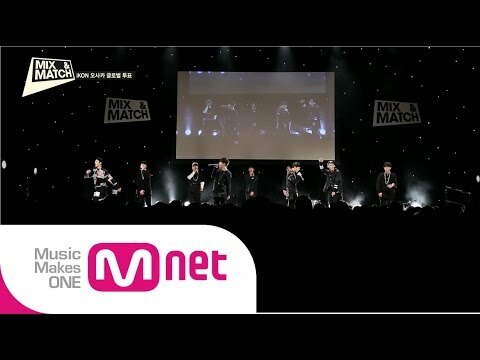 Mnet’s ‘MIX & MATCH’ brought family duet Akdong Musician and rookie trainee Jang Ha Nah onto their stage to perform with the contestants and got positive comments from the judges. 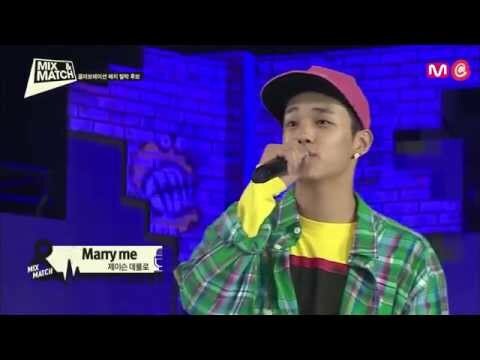 Bobby’s team worked with Jang Han Nah and they performed a cover of Black Eyed Peas ‘Let’s Get It Started’. 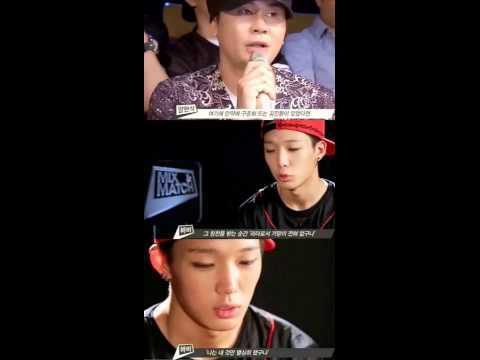 The reactions from the judges were (San E), "Bobby stands out so much. It feels like Bobby has five years of stage experience. It's scary how well you do. I had to watch the other members, too, but my attention really did not go to the confirmed members." (Simon D) "I think Bobby could even work less diligently. Be gentle. You're overflowing with ease and you enjoy the stage well." Kim Jin Hwan’s team partnered up with Akdong Musician’s Soo Hyun to perform Bruno Mars’s Treasure. The judges stated (San E), "You did well on your own when the music started. However, it would have been good if you had focused on the vocals," (Tablo) "It was extremely refreshing and put me in a good mood. It made me think a lot about my younger days. It reminded me once again of the excitement I felt when meeting a lover," (Simon D) "I'm a man, yet the stage was exciting to me. Jin Hwan's voice was nice and everyone did well” YG Entertainment’s CEO Yang Hyun Suk’s reaction was, "First of all, Jin Hwan's singing, dancing, and expressions were natural.. Today's stage was not exceptionally amazing or bad, but it was a stage that met expectations"